Store the chicken and the stock separately each in an air-tight container in the freezer. The stock should last for a few months. use the chicken meat sooner. Thaw in the fridge before use. 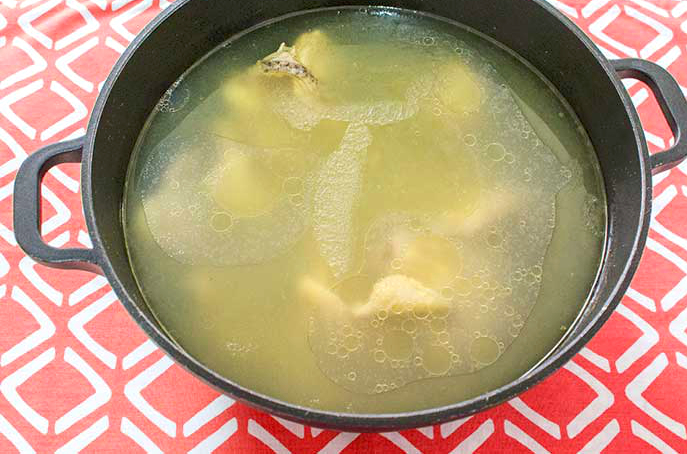 You can prepare spiced chicken stock as well with onions, garlic, cinnamon, etc. but you can use spiced chicken stoke in all dishes.So, it's always better to prepare simple stocks.